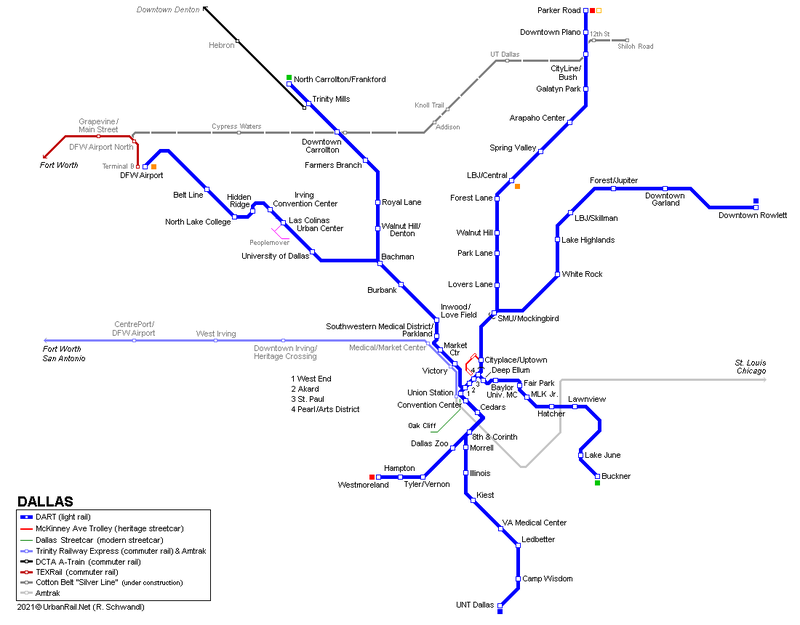 Click on map for full DART map! 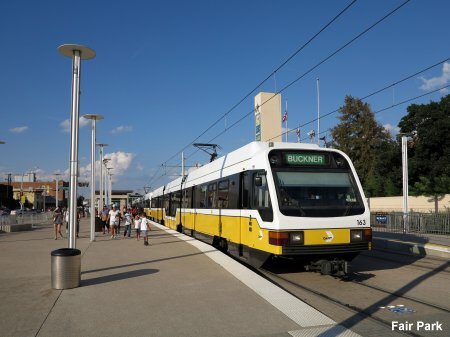 14 Sept 2009: Green Line Victory (full service) - MLK Jr. 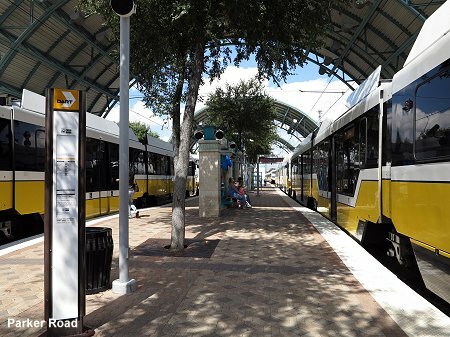 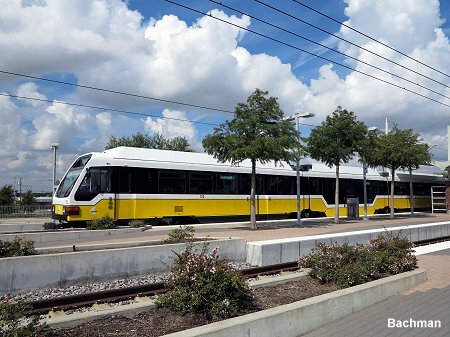 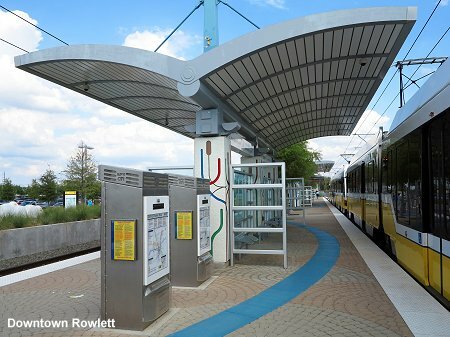 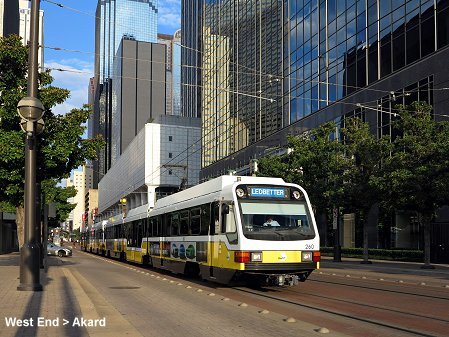 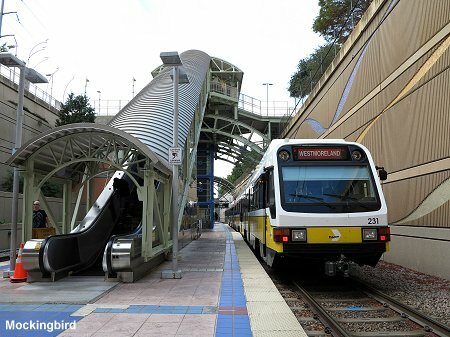 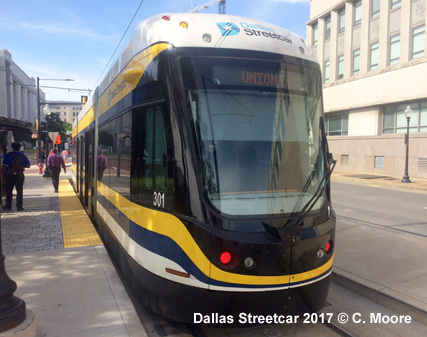 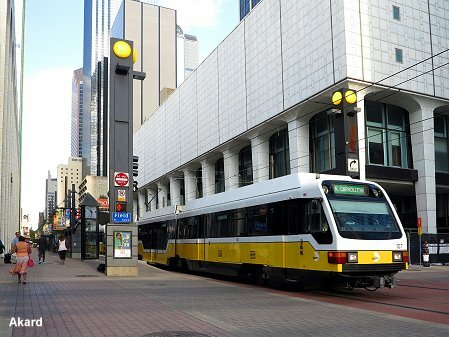 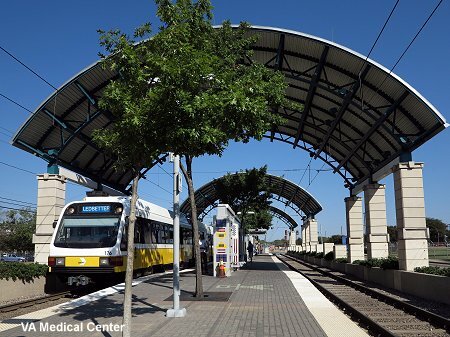 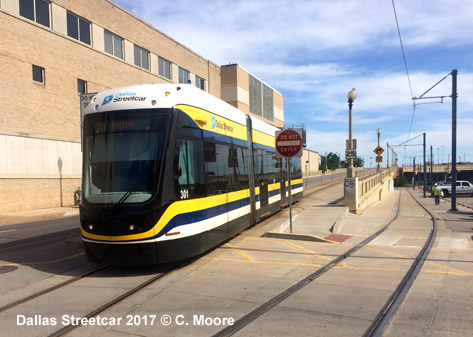 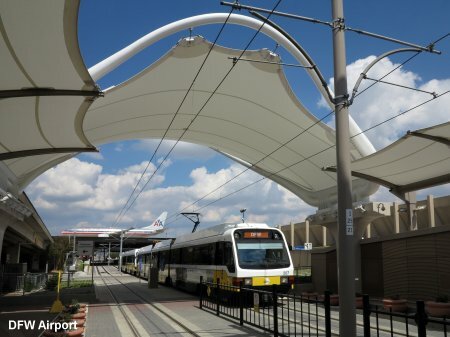 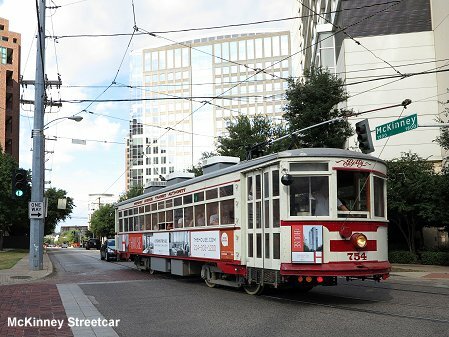 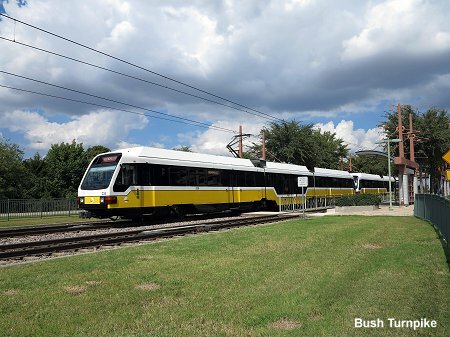 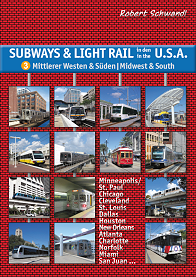 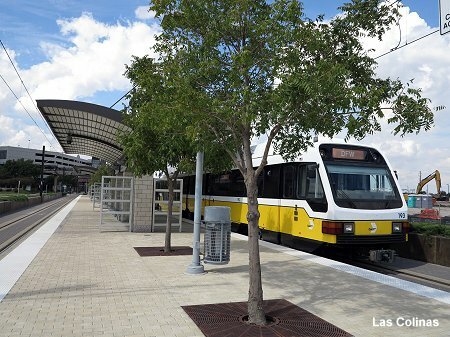 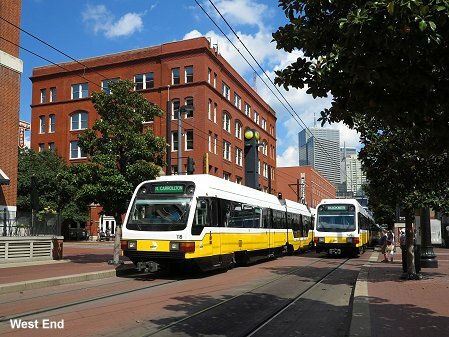 Besides the heritage streetcar line in downtown Dallas along McKinney Avenue, which was eventually extended further downtown on 6 June 2015, a 2.6 km modern streetcar starter line was opened on 13 April 2015 linking Union Station with Oak Cliff along S Houston Street. 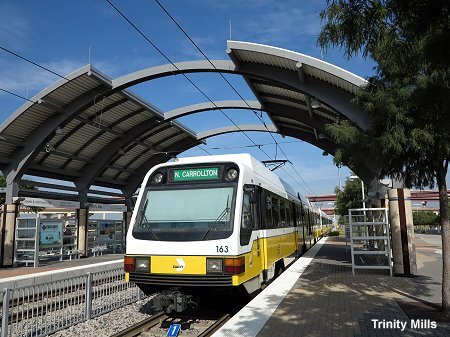 On 29 Aug 2016, this line was extended by approx. 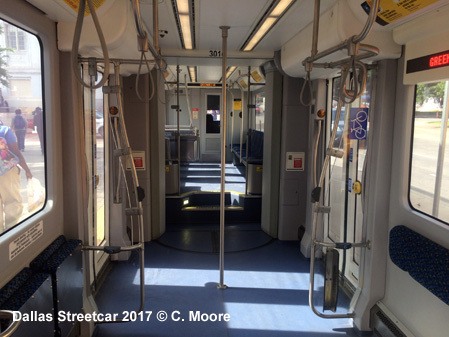 1 km south to Bishops Arts District. 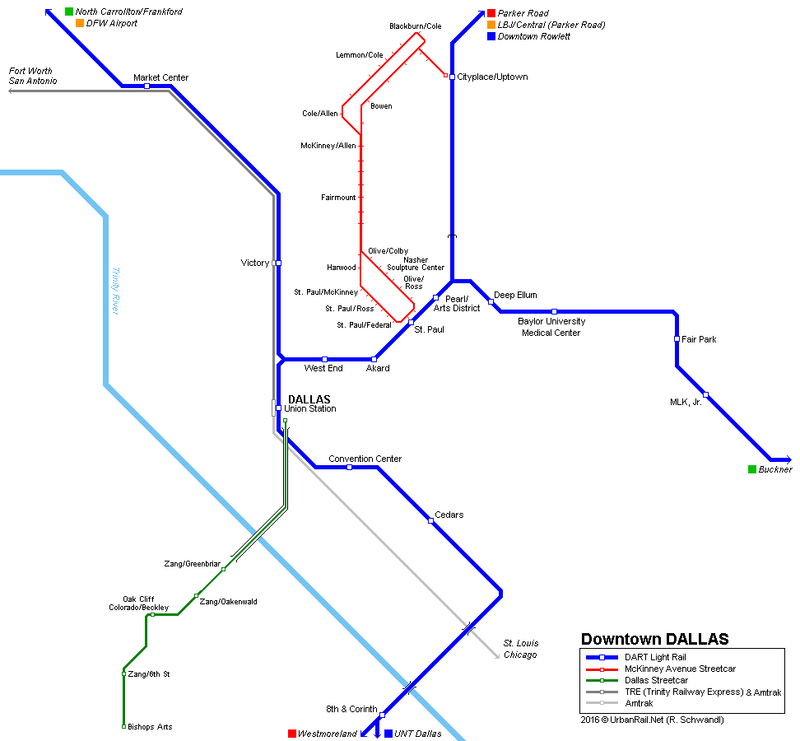 Click on map to return to Downtown Dallas map!